Exit the airport and make a left turn on the Avenida Aviación General; drive to the south of the city towards Uman. In Uman, take the third street to the right after the principal plaza and take Route 281 to Kinchil-Celestun. In Celestun turn right and take the road that follows the coastline in a northern direction. There are various airline connections between Cancún and Mérida. 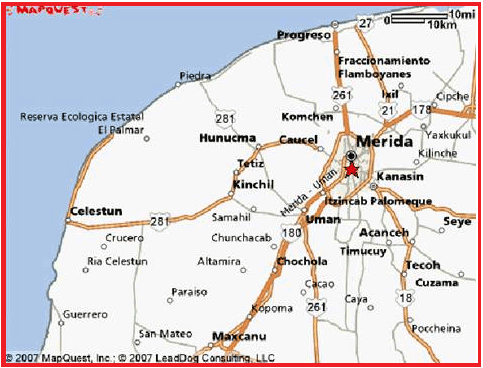 Please refer to the above paragraph to see how to get from Mérida to Celestún. Of course you can also rent a car in Cancún and drive across the Yucatán Peninsula. 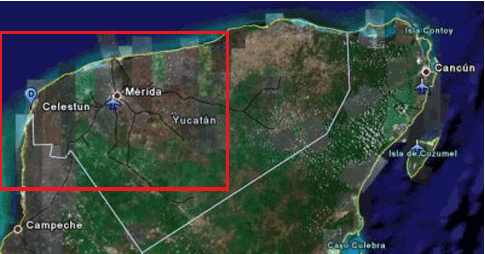 The drive takes about 5 hours, and the road between Cancún and Mérida is an excellent highway (toll). If you plan on taking your time, you may want to visit the stunning Cenote of Dzidnup in Valladolid, the world famous archeological site of Chichén Itzá and/or the magnificent 16th Century Franciscan Convent of Izamál on your way over. The Yucatán Peninsula has two international airports: Cancún and Mérida. Many American and European airlines provide flights to Cancún, while Mérida is only served by Mexican and some American airlines.